Directions Apply topically to the skin. 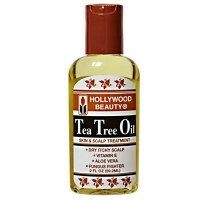 If you have never used tea tree oil before, dilute with a carrier oil such as olive oil or almond oil to test the skin sensitivity. 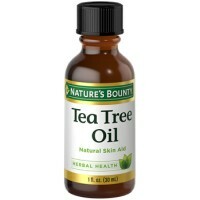 Uses A pure oil culled from the leaves of a tree native to Australia. Traditionally, it has been used as a topical agent for the skin. 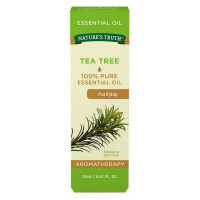 Our superior grade of tea tree oil is meticulously analyzed to ensure that it exceeds these levels of oil quality standards decreed by the Australian government. Pharmaceutical grade. 100% pure Australian oil. Natural antiseptic. Warnings Do not apply to broken or irritated skin or areas affected by rashes. Discontinue use and consult your doctor if any adverse reactions occur, including skin sensitivity or irritation, rash, itching, redness or swelling. Avoid contact with eyes, nose, mouth, inner ear or other tender areas. Do not use on children or animals. FOR EXTERNAL USE ONLY. DO NOT INGEST. KEEP OUT OF REACH OF CHILDREN. NOT TESTED ON ANIMALS. Flammable.